Ongoing education and team training is a top priority at Design West. We are continually working to increasing our expertise, methods of practice, and in house coordination. Each department at Design West meets up for biweekly training and we collaboratively work through ways to better our service and product. This week, our Electrical Department took a field trip for some on-site training at the CBU School of Engineering. 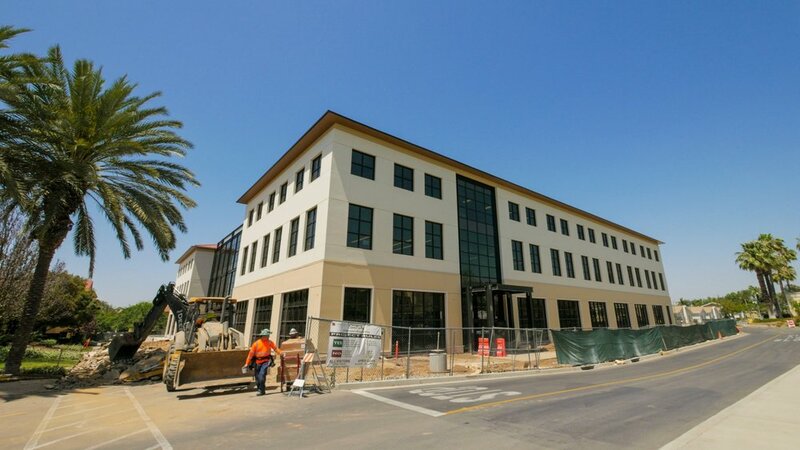 This new 105,000 SF classroom building is approaching completion this Summer and should be ready for the Fall semester students. At this stage of construction, our on-site training allowed our Electrical Drafters, Designers, and Managers alike to collectively review the installations of our own design drawings. This “in the field” review is always beneficial for teaching the real world practicality of what we put on paper.